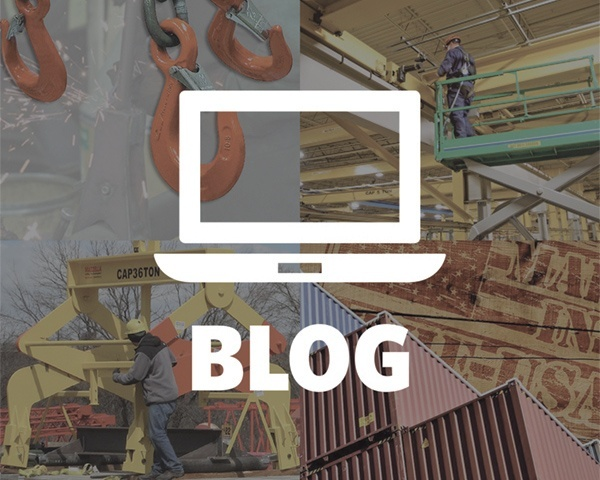 The term “gantry crane” tends to get thrown around a lot in the material handling industry. We often find that when folks say gantry crane, they’re often referring to an overhead bridge crane system. A gantry crane and bridge crane are actually very different types of overhead cranes. 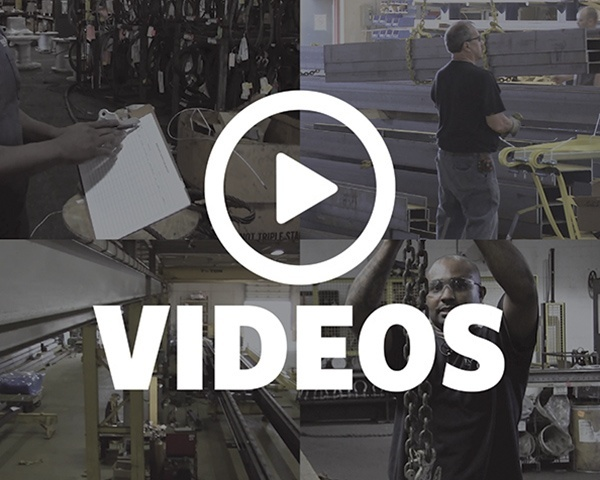 Our goal is to help you understand what type of gantry crane system will be most beneficial for the needs of your operation. A gantry crane is a type of overhead crane with a single or double girder configuration supported by freestanding legs that move on wheels or along a track or rail system. Gantry cranes are usually considered when there is a reason not to incorporate an overhead runway system. These are typically used for an outdoor application or below an existing overhead bridge crane system. Unlike a bridge crane, a gantry crane does not need to be tied into a building’s support structure—eliminating the need for permanent runway beams and support columns. In some cases, this can result in a significant reduction in material costs and can be a more cost-effective solution compared to a similarly specified bridge crane. Larger gantry systems may run on a rail or track embedded in the ground, typically in a straight line in a dedicated work area. Smaller portable gantry systems run on castors or wheels and can be moved about a facility for maintenance or light fabrication work. 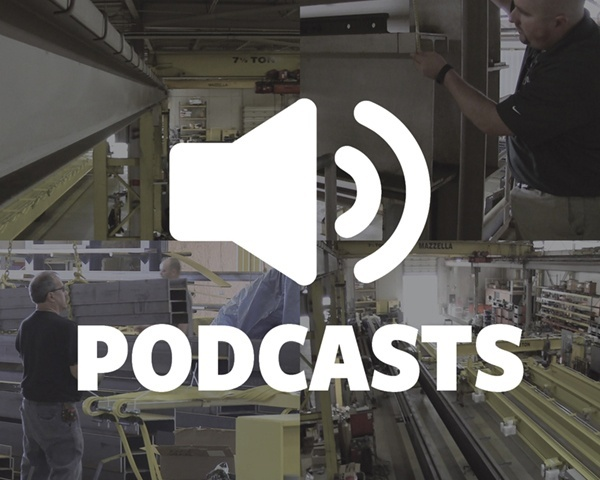 Podcast: What is a Gantry Crane? Full gantry crane systems are the most popular configuration—consisting of two legs that ride on rail that is embedded flush with the top surface of the floor. They typically run in a straight line in a dedicated work area. This design allows motorized equipment like scissor lifts, fork lifts, carts, and trucks to roll over it and cross through underneath the crane. Gantry cranes can also be designed with one leg riding on wheels or rails and the other side of the crane riding on a runway system connected to building columns or a side wall of the building structure. These are advantageous because they can save you floor space / work space. Unlike a bridge crane, this setup doesn’t need two runways supported by or tied back to building columns. Portable gantry cranes are smaller lighter-duty gantry systems that run on casters or rubber wheels. These wheels allow the user to move it throughout a facility to handle various materials or loads. When they’re empty and not under load, they can be moved or stored anywhere throughout a shop or into different work cells to offer greater space-saving and floor space flexibility. Adjustable gantry cranes can be designed with variable height and span design. Adjustability allows the end user to change the height of the beams—offering more flexibility when transporting a gantry system in and out of a facility or through different areas of a shop. What are Gantry Cranes Used For? Full gantry or semi-gantry cranes are commonly used for heavy fabrication applications, or in some type of outdoor yard—rail yards, shipping and container yards, steel yards, and scrap yards. They’re also very popular for cement and precast applications for areas where they’re forming and curing slab concrete. Their design allows them to be used outdoors and also allows forklift trucks and other motorized traffic to work and cross through underneath. Typically, portable gantry cranes are used to lift and hold something in place while it's being worked on, fabricated, or assembled. The load isn’t necessarily being moved through the facility, but the gantry itself can be moved around to work on different parts or equipment. Portable gantry systems can also offer more flexibility than a jib crane or workstation crane. A jib crane typically has to be installed onto a poured concrete foundation and once it’s installed—it’s pretty much permanent. A smaller portable gantry crane can perform the same type of work as a jib crane, but can be moved about your facility as your business grows and you begin optimizing and laying out warehouse space. 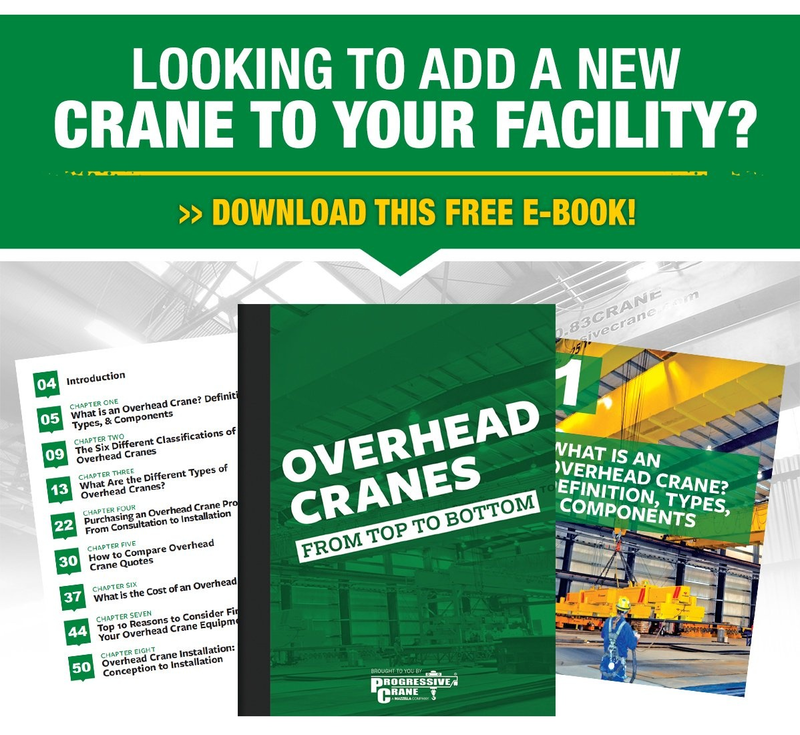 While a gantry crane is flexible in its design because it doesn’t rely on building supports and can be designed to be mobile, there are some things you’ll need to consider if you want to utilize a gantry crane in your facility. For large outdoor gantry systems, cable reel is a common electrification option. Cable reels utilize a simple design that’s either spring-loaded or motor-driven to release, retrieve, and store conductor cable for crane equipment. They can be mounted stationary or on a swivel base to allow the cable to payout in multiple angles and directions. The disadvantage of a cable reel is the sag factor you may experience in the cable when you stretch one out 50’, 100’, or longer. If that cable is sagging or laying on the ground because of a long track system, you’ve now negated the advantage of allowing motorized traffic to run underneath the gantry system. Overhead crane manufacturers can work with you to design an electrification system using lightweight beams or a series of poles to keep your electrification off the ground. Or, portable gantry cranes can be designed with longer extension cords to accommodate power supplies that may not be as close to the work area that the crane is moved to. If your gantry crane system will be operating outdoors, you’ll want to consider the type of paint or finish being applied—as well as the material itself. Since the crane is being used outdoors, you’ll want material like stainless steel or galvanized steel that can withstand corrosion and hold up to UV exposure, salt water, moisture, and extreme heat or cold. You’ll also want to consider additional features like motor heaters and insulated electrical panels to withstand the elements. You can even add on a “dog house” or covered area to protect the trolley and hoist. These can actually travel over top of the hoist the whole time, or can be a designated parking station at the end of the crane. Most people will choose to go with a gantry crane if they’re going to be running a lot of traffic, forklifts, and carts in and out of an area where they need to utilize their crane. A larger gantry system will allow forklifts in to pick up materials and allow you to bring trucks in and out for loading. That's probably, the bigger ones that we've done have been for that reason. Support columns, like you have with bridge cranes, take up valuable floor space and are also obstructions for workers moving about the facility. If you can eliminate those support columns, it makes it much easier for your workers to maneuver around in that area. However, with any type of gantry system, you need to consider what equipment or personnel are operating nearby. 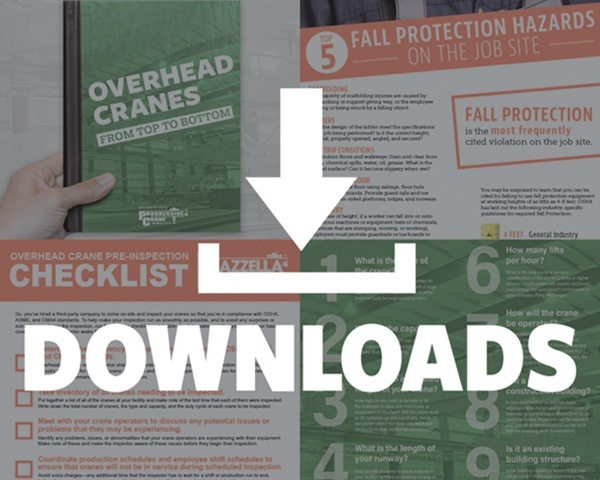 With a gantry that’s moving down the rail or track—or even a portable gantry that’s being maneuvered through different areas of a facility—you want to be aware of any possible obstructions that the crane could possibly collide with. Any type of impact could cause damage to electrical panels, end trucks, controls, gear boxes, or any other components mounted to the legs of the crane. Manufacturers can get creative in positioning the controls, gear boxes, and panels on the legs to minimize exposure to impact. Especially on outdoor gantry systems, you may want to consider upgrading to rotating axle end trucks instead of standard fixed axle end trucks. Fixed axle end trucks have the gears and bearings contained within and in an outdoor environment, these can get dirt, dust, and debris inside the gears. Over time, this debris can seize up the gears and burn up the motors. Rotating axle end trucks are designed to be a little more heavy-duty and robust and typically have less parts, so they're lower maintenance. The gears are enclosed in a continuous oil bath that keeps all debris out—even in dirty, dusty, and outdoor environments. Even the style of the gears on the drive can make a difference. A helical or bevel gear drive can be advantageous compared to a worm gear drive. A helical or bevel gear drive can roll back on itself in the event of an impact—causing less torque to the gears themselves. On a worm gear drive, the gears could break apart in the event of an impact because they aren’t designed to operate in reverse. Gantry cranes should be used in applications where speed is not a concern. You can run a bridge crane at a pretty high speed, but on gantry cranes the load is typically moved at a slower crawling speed. Gantry cranes are perfectly designed to handle high-volume lifts and provide an efficient means of lifting or moving heavy loads through a yard, fabrication shop, or general manufacturing/warehousing environment. Duty Cycle/Classification: Selecting the right duty cycle or service classification helps ensure that the components are durable enough to withstand the load and usage requirements. Gantry Design: Will you be utilizing a full gantry, semi-gantry or portable gantry system? Will the gantry move on rails, track, or wheels? Foot or Motor Traffic: Will there be workers or other equipment working near the gantry? Will any components need additional guarding or special orientation to avoid collision damage? Indoors/Outdoors: Will the crane be operating indoors, outdoors, or both? Special paint systems, material, and components may be required to withstand to environmental conditions on an outdoor gantry system. Power Requirements: Will a cable reel be sufficient for power delivery, or will a more customized solution be required? If it’s a portable gantry system, will you have a power supply nearby, or will you require a longer extension cord? Our expert team of Engineers, Estimators, and Project Managers can help you design and specify a cost-effective gantry crane system for your facility, production or budgetary needs. If you’re interested in scheduling a consultation, please don’t hesitate to contact us today. Next Article Why Pay for Lifting and Rigging Training When You Can Get it for Free?